Despite some success with some innovative solutions in our backyards, such as Virtual Dental Homes and School-Based Health Centers, the oral health system in the United States (US) has room for improvement. Countries around the globe have taken to creating and implementing exemplary creative and individualized programs to address oral health issues that they face. In contrast, developing nations face entirely different kinds of oral health diseases. 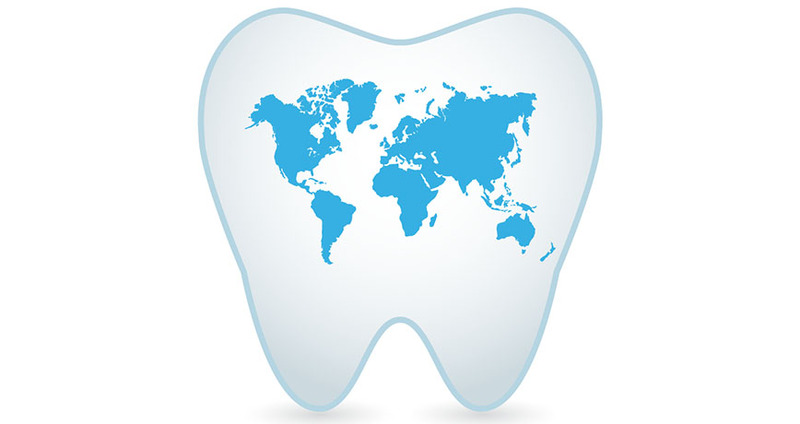 For instance, while tooth decay affects industrialized countries, the burden is quite low in African countries. The World Health Organization (WHO) explains that this is predominantly due to lack of sugar in the diets.8 Instead of caries, noma—a bacterial infection that affects malnourished children and destroys the soft and hard tissues of the oral cavities—is rampant throughout the sub-Saharan region. Studies show that it may pass up mortality due to HIV/AIDS and malaria in the coming years.9 Thus, a group of 30 foundations and non-governmental organizations formed the International No-Noma Federation. The concerted effort to fight the disease in African countries involves awareness campaigns tailored to individual villages, strategies to combat malnutrition, and stronger surveillance.10 While prevention is crucial, a treatment-based approach that provides dental surgery is often necessary but expensive. Such programs rely on private funding as well as dental workforce supply. I firmly believe that improving oral health in the United States is going to require integration of oral health into the health care system, increase in the supply of dental health workforce, increase in funding, robust epidemiological surveillance capabilities, and an education campaign targeted towards low-income and racially diverse neighborhoods. That being said, such efforts place the onus predominantly on the government. Every year, we are teased with state and federal policies that consider universal oral health care access policies only to end up settling for far less. Learning about the various strategies implemented across the globe, I see strong potential in community-based approaches, many of which have already begun. These programs will require time to get started as well as research that demonstrates program impact in order to gain funding through the public and private sectors. National Health Expenditure Trends, 1975 to 2017. Canadian Institute for Health Information. Retrieved March 2018 from https://www.cihi.ca/sites/default/files/document/nhex2017-trends-report-en.pdf. The State of Oral Health in Canada. 2017. Canadian Dental Association. Retrieved March 2018 from https://www.cda-adc.ca/stateoforalhealth/_files/TheStateofOralHealthinCanada.pdf. The State of Oral Health in Europe. 2012. Better Oral Health Platform. Retrieved March 2018 from https://Report-the-State-of-Oral-Health-in-Europe%20(2).pdf. Toothfriendly Certification. Retrieved March 2018 from https://www.toothfriendly.org/en/certification. Christensen, L.B., Petersen, P.E., Hede, B. Community of Dental Health. (2010). Retrieved March 2018 from https://pdfs.semanticscholar.org/8aaa/205fe5181f4d25ffe2a9290063b7cd034e8e.pdf. Wennhall, I., Maretensson, E., et al. Caries-preventive effect of an oral health program for preschool children in a low socio-economic, multicultural area in Sweden: Results after one year. Acta Odontologica Scandinavica. (2005). Retrieved March 2018 from https://www.tandfonline.com/doi/full/10.1080/00016350510019900?scroll=top&needAccess=true. What is the burden of oral disease?. World Health Organization. Retrieved March 2018 from http://www.who.int/oral_health/disease_burden/global/en/. Abid, A., Maatouk, F., et al. Prevalence and Severity of Oral Diseases in the Africa and Middle East Region. SAGE Journals. (2015). Retrieved March 2018 from http://journals.sagepub.com/doi/abs/10.1177/0022034515582062. International Noma Federation. Retrieved March 2018 from http://www.nonoma.org/en/nos-activites/prevenir/.